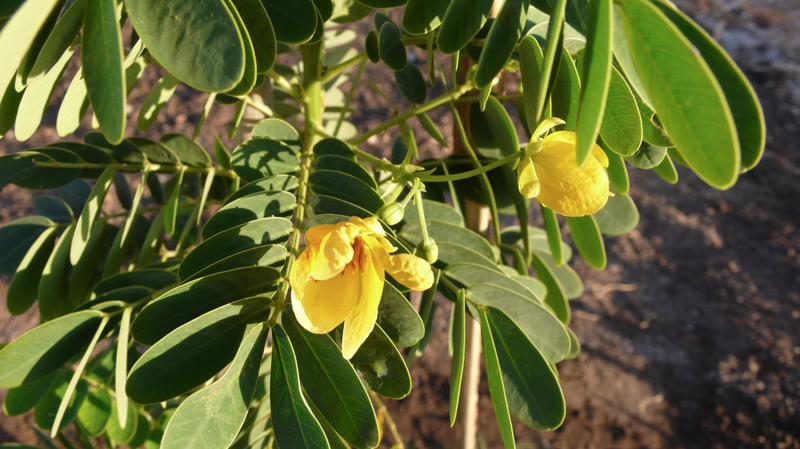 It can grow 2-4 meters high and has pinnate-divided compound leave, elliptical leaflets, 10-18 cm long pods, and bright yellow flowers which attract butterflies. 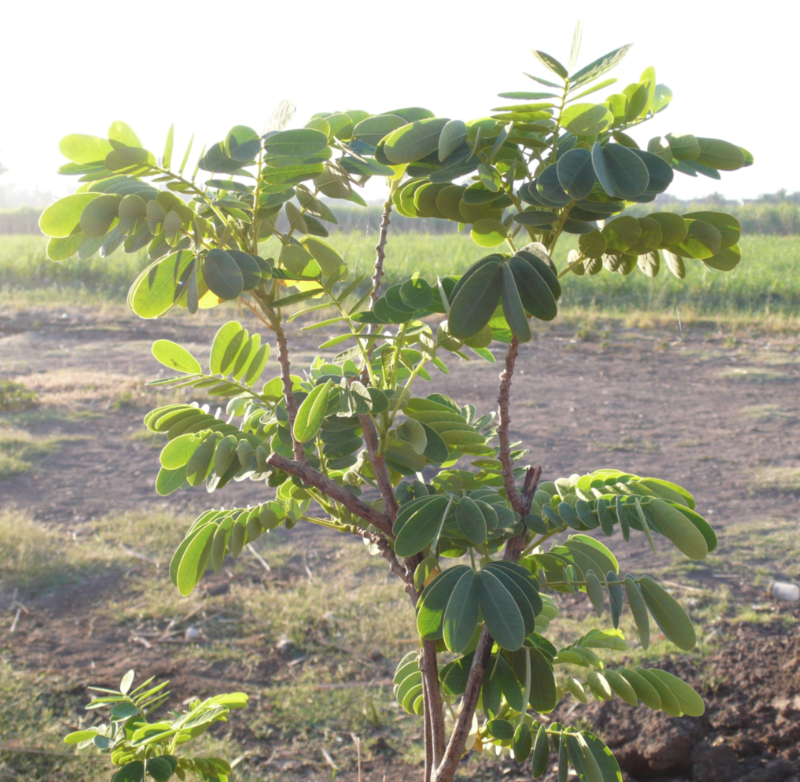 In the book, The Power of Movement in Plants (1915), Charles Darwin described the Cassia plant for its ability to “sleep” at night: with the sunset, the leaves relax and fold downward, and reopen again in the morning. This plant in the photos came from a local nursery in the west bank of Luxor, on the main road just before you reach the Colossi of Memnon (where the road forks and goes to Bairat Village). 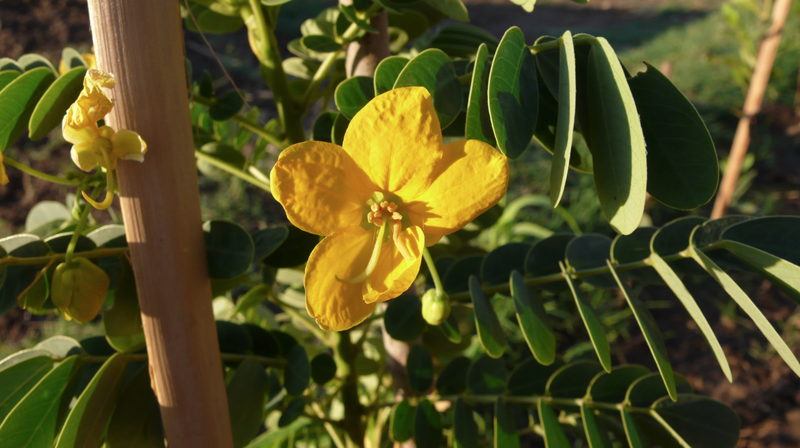 When I asked the Egyptian gardener the name of this plant, he called it an “acacia” and unfortunately I did not learn if there was a local Arabic name for it. 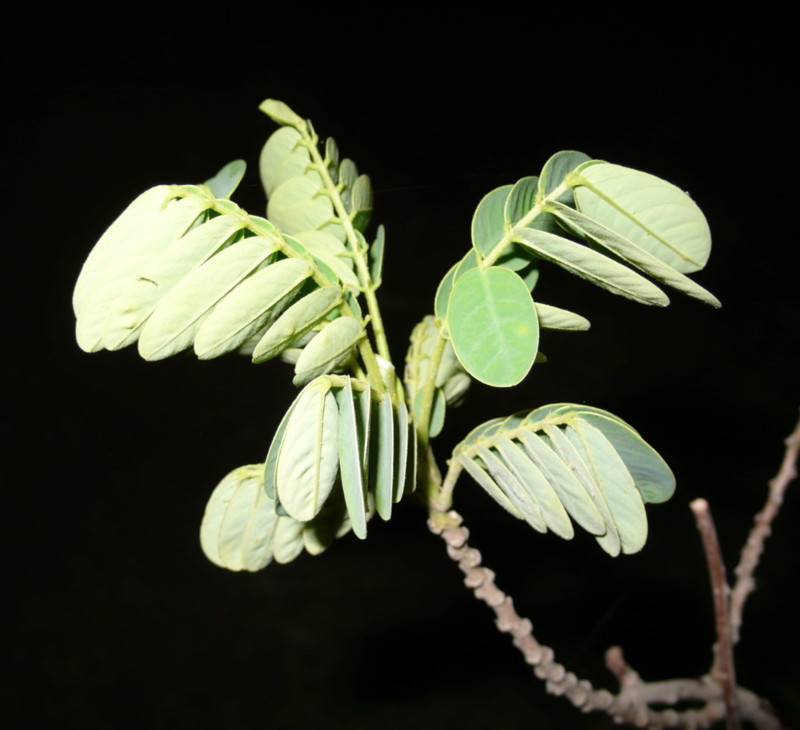 It does have many superficial similarities to the acacia: its hardiness in the desert climate, leaf structure, yellow flowers and pods. 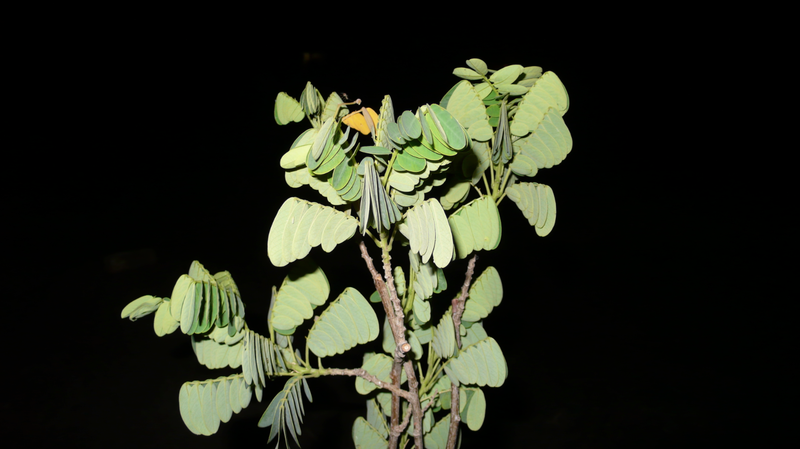 But the aspects of all these features differ greatly: acacia can grow to 20 meters high and have bipinnate leaves which are much smaller and greater in number; their flowers, while yellow, are almost “fluffy” in texture and round; and their pods are quite different, along with long thorns. Camels feed on the acacia, their long lips delicately avoiding the piercing of the thorns. 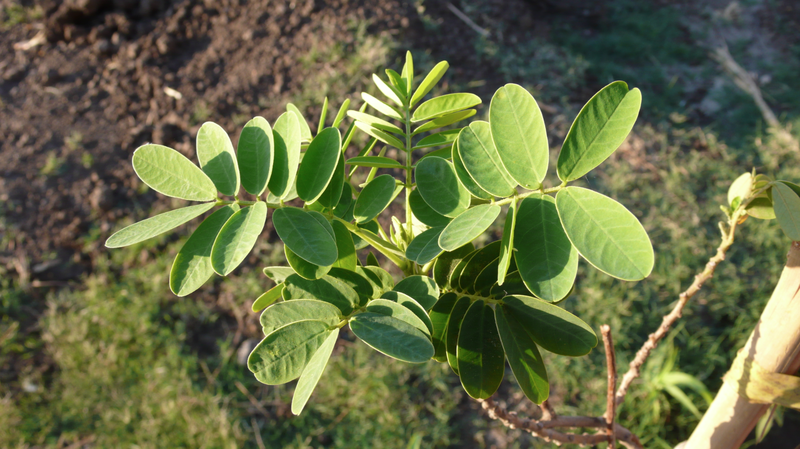 The Cassia goes by several names, depending on where you are in the world. 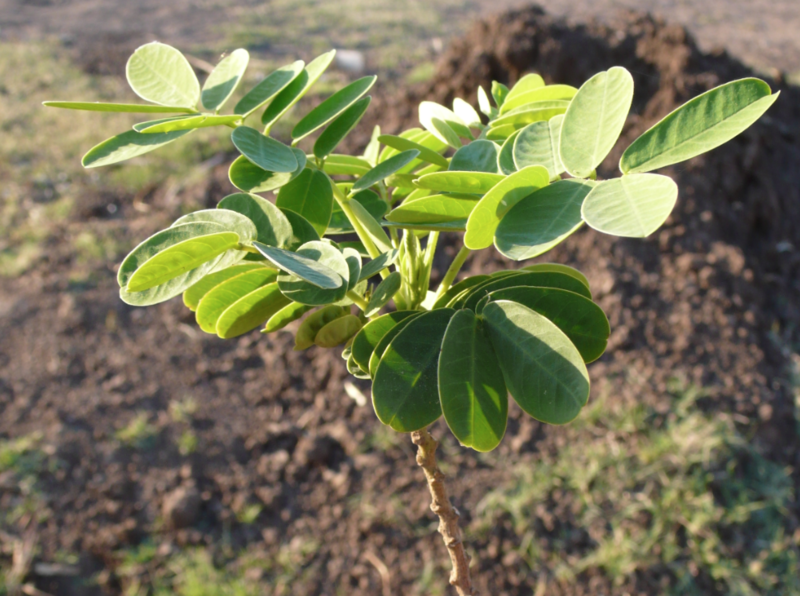 The nicest one I’ve come across is the “Sunshine Tree.” Let me know if you know some other names for it! The Street Trees of Egypt, by M. Nabil el-Hadidi and Loutfy Boulos, and illustrated by Magdy el-Gohary and Sami Makar (American University in Cairo Press, 1988). This entry was posted in Related Stories, Ventures & Vistas in Egypt. Bookmark the permalink.